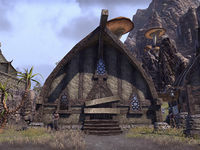 This residence might not be in Kragenmoor's best neighborhood, but if you're looking for classic Dunmeri architecture at an affordable price, this town house certainly fits the bill. 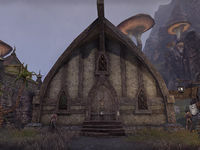 Kragenhome is a small player house in Kragenmoor. It has one large room with a fire place in the center. To purchase this house with Gold, you need to complete Sadal's Overthrower achievement and A Friend In Need.